seems to have become a month-long celebration for me this year. 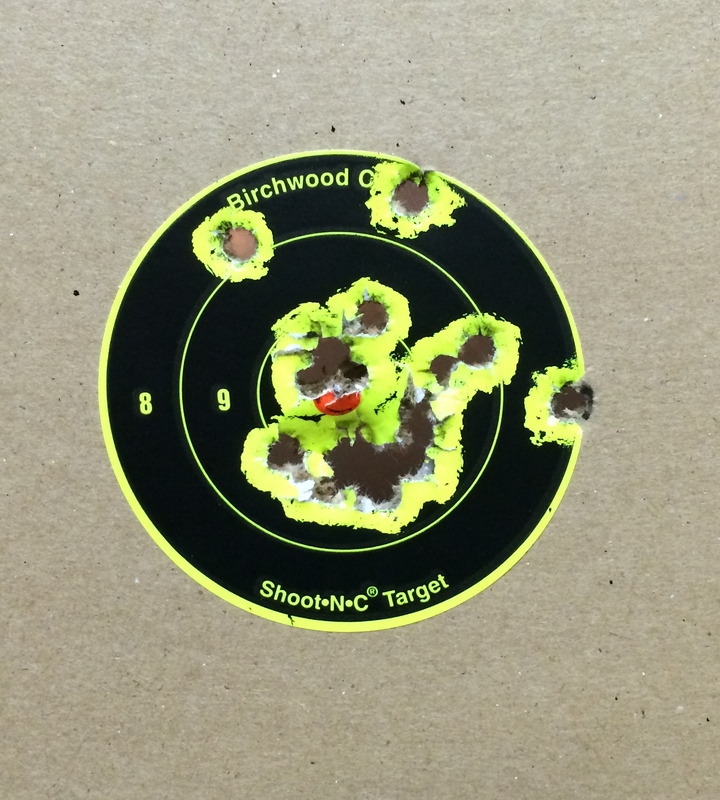 It all started when I decided that I wanted a .22 for target practice. Cheaper ammo is not, after all, to be sneezed at, and with the variety of .22s that are currently being produced, I figured it wouldn’t be too hard to find something that I’d enjoy shooting. 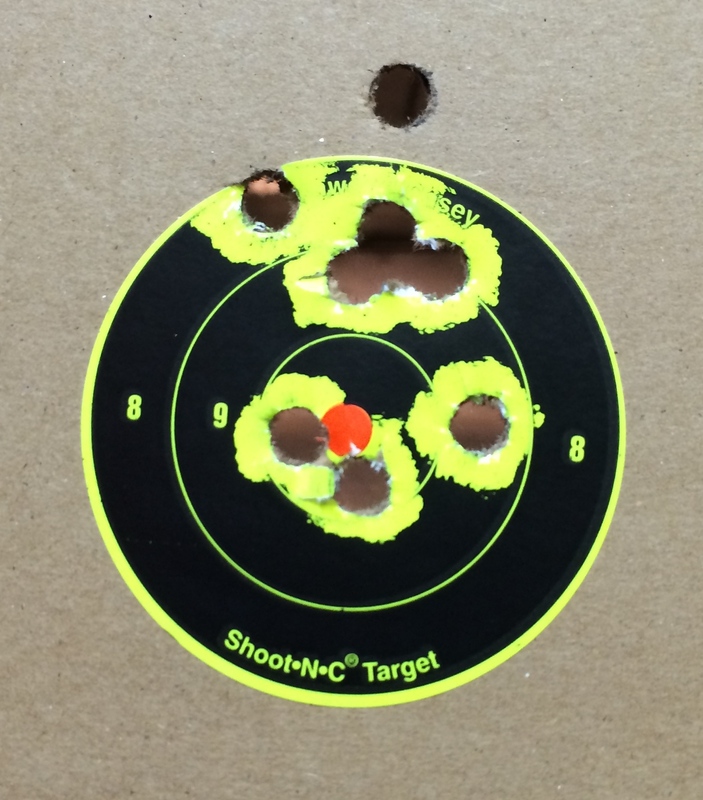 I started at my local range where I most often go to shoot. It’s close; it’s convenient; it’s a small, local, second-generation family-owned business, and I believe in supporting local whenever possible. 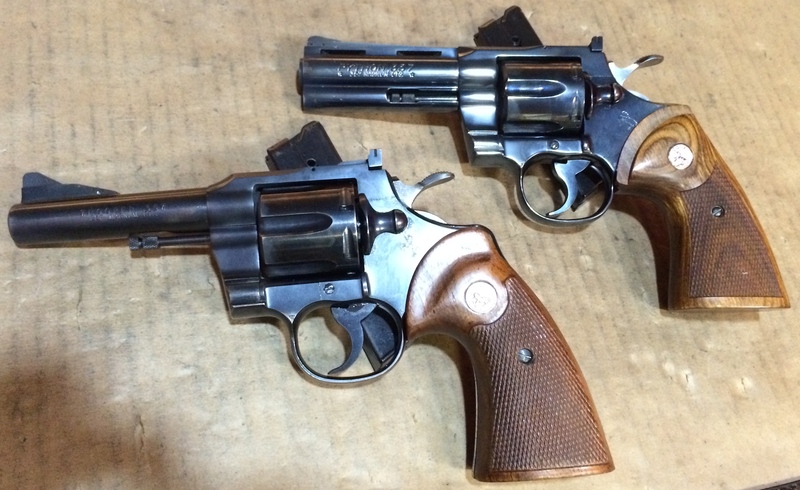 Unfortunately, they have been stocking fewer and fewer handguns lately, and their response to a query about a specific type or model is usually to shrug and say, “Sorry, we don’t have that,” rather than, “Let’s see what we might do about finding one for you.” But they did have an Smith & Wesson M&P .22. 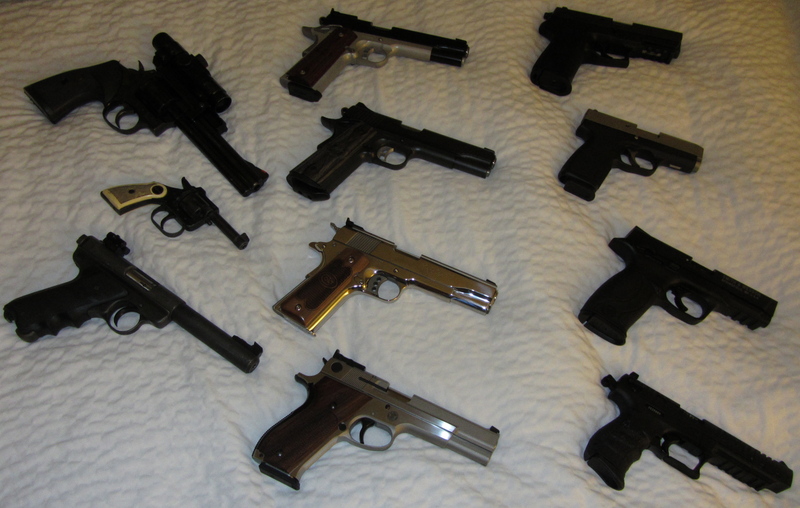 It felt just about like the two other M&Ps that I already have (9mm and .40). And I really do like both of my other M&Ps…so I got the baby of the family! 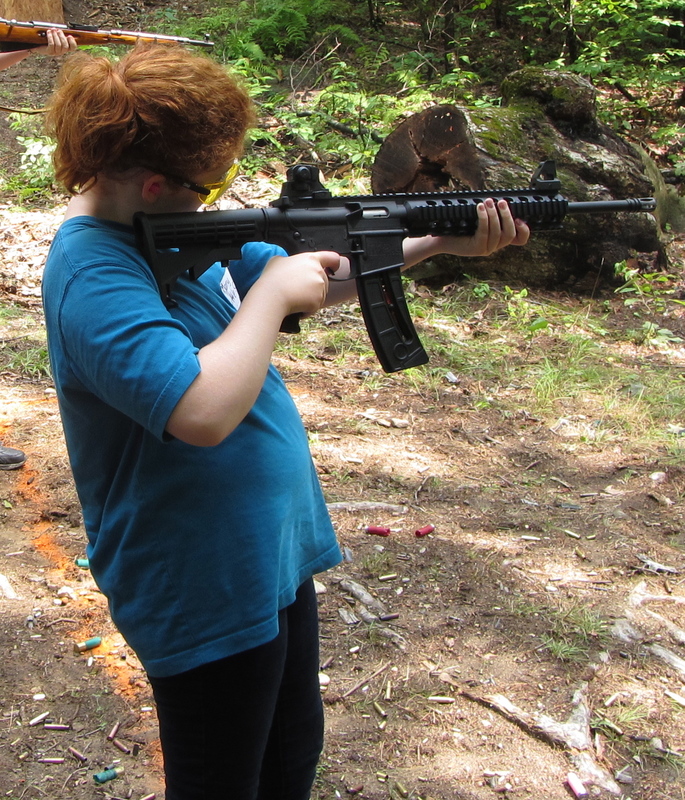 It is fun to shoot, too. Very nice groups out to 50ft (which is as far as that range is long). A few days later, I was at one of my favore stores in the world. It’s a large all-around outdoor store, but also a local business. While I was there, I was looking at their stock of Ruger .22s. I had been looking into those before I had found the M&P, but hadn’t seen one until that afternoon. After spending some time talking with a few of the guys behind the counter and handling several of the Rugers, I ended up with a second .22…the Mk III Hunter. 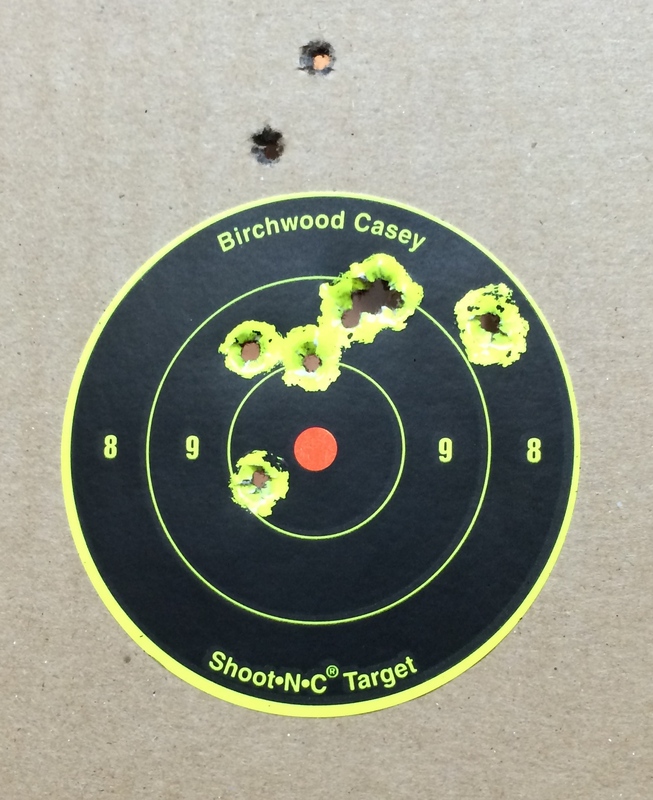 I was delighted with this one on the first trip to the range! 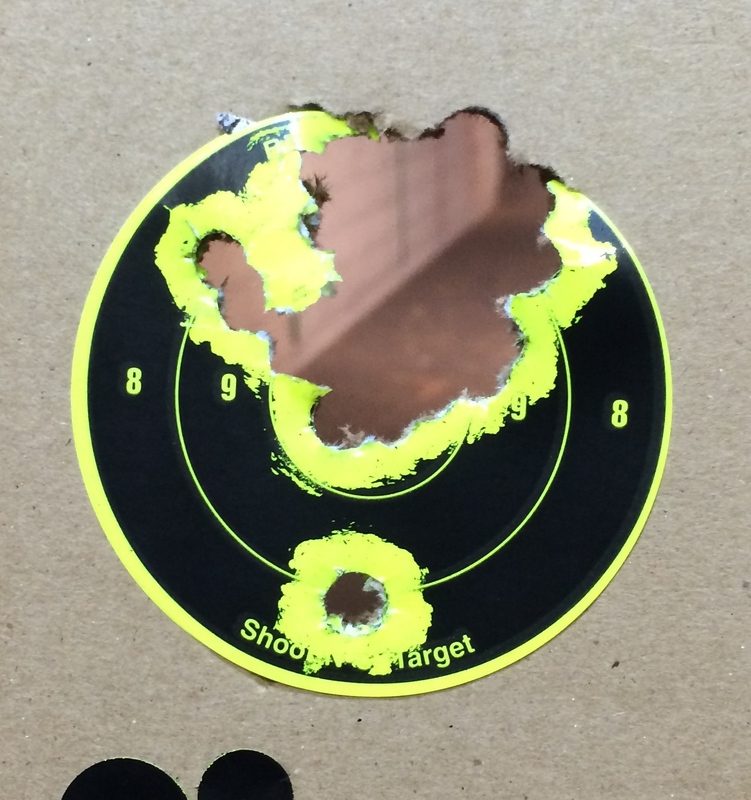 At 50ft, I ended up with about a 2″ hole in the target after 100 rounds with only a few fliers outside of it. 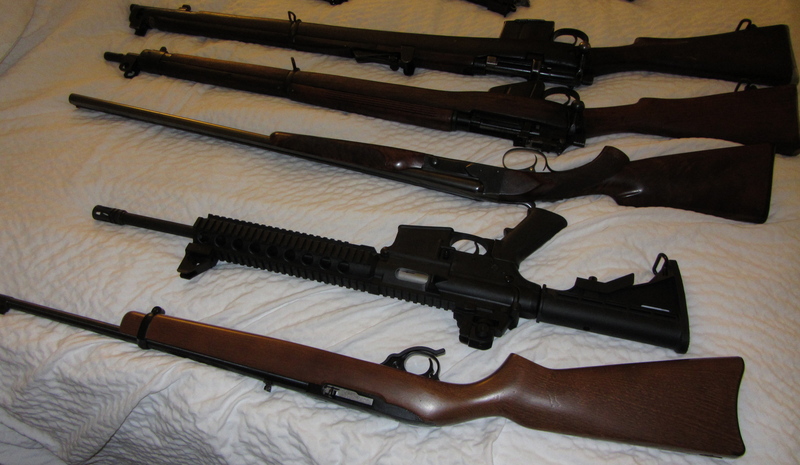 When I really think about it, though, BAG Day (errr…Month) didn’t just start with the search for a .22. I’ve also been searching for quite a while for my first .45. I finally made my choice and went in search of. But things being as they are, Small Fav Store didn’t have it, nor did Large Fav Store. But the guy at LFS called their smaller outlet and, lo and behold, they did! Or, well, they didn’t quite. But I didn’t find that out until I drove an hour to get there, only to realize that it wasn’t exactly the right model. However unlike SFS, the guy here didn’t just say, “Sorry, we don’t have it.” He spent well over an hour with me going through the manufacturer’s catalog to be sure we had the right model, finding the price, and getting it ordered for me. So I still have one more coming to complete BAG Month.